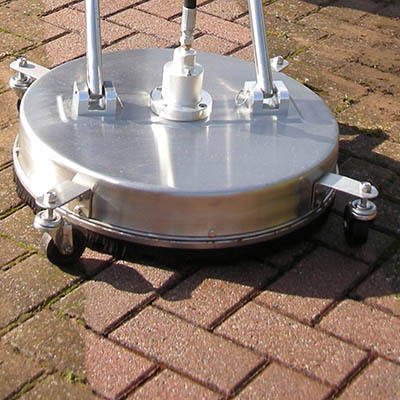 We operate in Thetford, Brandon, Bury St Edmunds as well as Mildenhall, Lakenheath, Watton and surrounding areas with the very latest equipment to ensure the best possible results when cleaning your driveway or Patio. 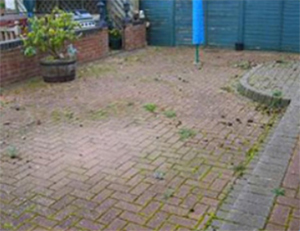 We powerwash the driveway to remove all the build up of dirt and weeds that form in between the brickweave and to get the paviours sparkling clean and that includes oil stains as well. Because power washing removes much of the sand in between the brick paviours we re-sand the whole driveway. this ensures the bricks remain firmly in place as they were before the job commenced. You now have a driveway that will enhance your property and be a joy to look at for years to come. Oil stains will be removed and once sealed will come off very much easier in future. 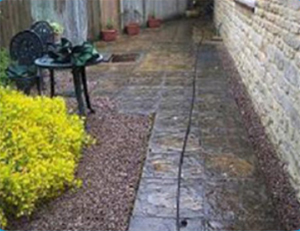 The process can be very similar to that of Driveways but patio slabs are often larger slabs and often have mortar in between in which case resanding and sealing may not be necessary - we can advise on this so just ask for a quotation and be assured we won't try to sell you anything you don't need.